Beautiful Erik Magnussen Wine Coaster with clean elegant look. 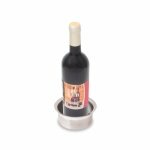 Pewter coaster designed to hold magnum sized bottles. It also beautifully holds the Royal Selangor's Wine Decanter 14185R. 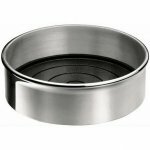 Brushed / Polished Stainless Steel Wine Coaster. 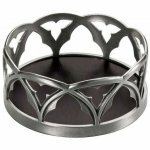 Give your favorite wine the royal treatment while protecting your table's surface with this sleek stainless steel wine coaster.